Track and Trail Publications – 4×4 Trail guides to backcountry adventures for the entire family! 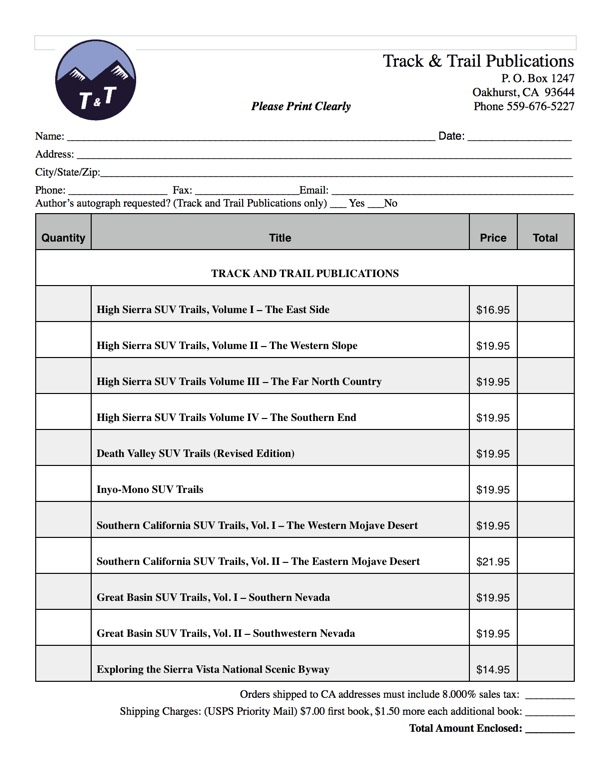 Track & Trail Publications is a micro-press located in Oakhurst, California, at the southern gateway to Yosemite National Park. We are outdoor folks who like to explore backroads and jeep trails, hike, backpack, camp out, and visit little known corners of the earth. To us, four-wheeling is a means to an end, not an end in itself. We tred lightly on the land and have a great appreciation of history and nature, subjects that are often reflected in our publications.